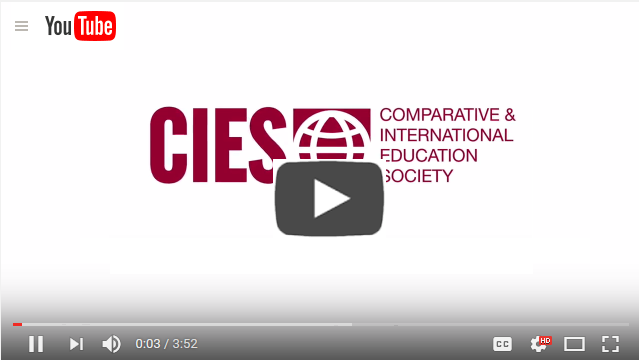 A vital component of CIES are the Special Interest Groups (SIGs) that allow members who share common research interests to connect and collaborate. SIGs focus on a geographic region or on a specialized topic. 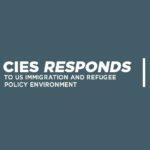 Each SIG prepares a robust academic program for each CIES Annual Meeting. To find contact info for SIG leadership and information on SIG websites please visit the SIG info on the main CIES website. Africa SIG aims to foster a sense of community among their members, inform the membership of best practices and current research in the field, and provide a valuable space for networking and dialoguing on Africa education. 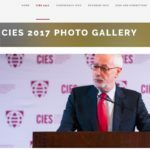 East Asia SIG aims to formalize and strengthen communication among scholars of East Asia, and to help the larger CIES membership become better acquainted with East Asian education and societies. Eurasia SIG brings together educational researchers and practitioners working on or in Eurasia. Latin America SIG includes Latin Americanist educators, leaders, and scholars who offer through their research and experiences the opportunity to celebrate the accomplishment of goals and the launching of projects in the region, open the dialogue regarding the region’s educational experiences, achievements and challenges. Middle East SIG brings together scholars, educators, and development practitioners interested in the study of the region. Through high quality scholarship, dissemination, and service we seek to enhance educational policy, programming, and pedagogy, and to foster understanding of the region’s peoples more generally. The MESIG is not associated with any political or religious affiliation. Our geographic scope includes the broader Middle East and North Africa region, as well as locales with historic or contemporary ties to the region and their peoples. South Asia SIG provides a systematic forum to bring together those of us working on and interested in educational issues related to South Asia and the South Asian Diaspora. African Diaspora SIG seeks to foster a community of scholars and practitioners to engage with the historical contexts and contemporary educational experiences of Black communities across the globe. A broader analysis of the educational realities of African descendants within and outside the United States offers the opportunity to review similar and different challenges, lessons, and new possibilities. Citizenship and Democratic Education SIG seeks to create an active community of educators and researchers, to share their views and encourage productive debate on various aspects of citizenship and democratic education, in the United States and around the world. Contemplative Inquiry and Holistic Education SIG seeks to address holistic development and integration of learners’ mind, body, and spirit through contemplative means. Cultural Contexts of Education and Human Potential SIG aims to make the case for the necessity of including the voices of individuals often unheard and to promote better understanding and learning between and about different groups. Moreover, it is also intended to demonstrate how the underutilization of the voices of different cultures has led to the underutilization of their potential. Early Childhood Development SIG seeks to foster exchange & strengthen linkages between ECD research and practice; help keep members abreast of new developments in the field; build linkages among various ECD networks nationally and internationally; prepare ECD thematic sessions at the next CIES conference. Economics and Finance of Education-SIG (EFE-SIG) focuses on investigating, conceptualizing, and theorizing the links between Economics and Finance of Education Policies. The EFE-SIG offers a new opportunity for scholars interested in the following topics: * Redistribution, political philosophy, economics, and financing schooling systems * International aid and mechanisms of redistribution * Education finance, economics, and poverty reduction * Financing education and theories of justice * Theories of learning, knowledge and knowledge economics * School finance, adequacy, and equity in resource allocation * Equality of Educational Opportunity and its effect on society * Teachers’ effectiveness, incentives and rewards * Charter schools and school based management * Higher education finance and learning networks * Early childhood finance * Special education finance * State competitiveness, social cohesiveness and mechanisms of reallocation. The EFE-SIG is important as it suggests a unique perspective. We aim to contribute to the perception of Economics and Finance of Education as a global issue and not just a national issue. In addition, we highlight the importance of the EFE-SIG, as currently Education Finance issues are rarely addressed from the perspective of Comparative Education. Education Conflict and Emergencies SIG brings together CIES members around a broad range of research and programmatic activities including education during armed conflict and natural disasters; educational reconstruction post-conflict and post-disaster; and the relationships between educational provision and peace-building, transitional justice, and resilience across conflict-affected, post-conflict, and fragile states. Education for Sustainable Development SIG promotes scholarly research and professional activities of those concerned with the intersection of education (broadly defined) and sustainable development. Specifically, the SIG explores how the discourse and practice of sustainable development affect educational institutions and how educational institutions facilitate the development of knowledge, skills, behaviors and attitudes needed for sustainable development. Global Literacy SIG is organized around key issues in reading and writing instruction and assessment and larger issues and implications of literacy use throughout the world. Global Mathematics Education SIG The purpose of the Global Mathematics Education SIG is to provide a forum for researchers and practitioners from around the world to discuss theory, practices, and techniques related to mathematics learning starting in early childhood to tertiary education. Globalization and Education SIG seeks to provide a forum where researchers and practitioners involved in global study of comparative and international education have meaningful conversations and exchanges of ideas related to globalization and education. Higher Education SIG serves as a networking hub for promoting scholarship opportunities, critical dialogue, and linking professionals and academics to the international aspects of higher education. ICT4D (ICT for Development) is an outlet for members of the Comparative and International Education Society (CIES) to collaborate with, learn from, and create bonds that will heighten interest and research in this ever growing area. Inclusive Education SIG seeks to elicit the participation of scholars interested in educational issues specific to the multiple meanings of IE and, accordingly, to learners who are marginalized due to special educational needs. These might include: disabilities, second language acquisition, poverty, racial and ethnic discrimination, social exclusion, etc. Indigenous Knowledge and the Academy SIG consists of CIES members, members of indigenous communities, and practitioners who want to dialogue about ways to develop alternative knowledge and how this can be used to interact with, and transform the academy. Language Issues SIG is a network of researchers and practitioners working to understand the role of language(s) in education, as well as the role of the languages of instruction in differing, and often contentious, political and cultural contexts. Large-Scale Cross-National Studies in Education SIG is the newly established SIG with the mission to promote research related to large-scale cross-national studies in education. The SIG will provide a space within CIES for interaction between scholars who are contributing to the three aforementioned lines of research. Also, the SIG will bring together scholars and practitioners who are designing and implementing international assessments of educational achievement. Peace Education SIG brings together members of the Comparative and International Education Society with common interests in the study of peace and conflict, human rights, and social justice in education. The SIG was initiated to provide a dedicated space for comparative education scholars at all career stages interesting in sharing work that draws upon post-structural approaches to social theory. Whilst Foucault is already an important reference point for many CIES members the SIG also encourages engagement with other leading voices that are less audible within CIE (e.g. Agamben, Baudrillard, Butler, Derrida, Deleuze, Lacan, Rancière, Mbembe and Lather to name but a few). Recognizing that theory itself might be viewed as a constraining metanarrative, the SIG also takes inspiration from alternative intellectual horizons that might include mysticism, indigenous knowledges and Eastern religions. In this sense, the SIG is an invitation to work with, problematize and celebrate difference in social life, using this to inspire and regenerate the field of CIE. Religion and Education SIG is a newly established SIG for the purpose of comparatively explore the links between education and religion across national, historical, and civilizational contexts. The SIG will foster an interdisciplinary dialogue and international collaboration focusing on the implications from the study of education-religion links for all fields of educational research and practice. Teacher Education and the Teaching Profession SIG facilitates dissemination of information and fosters dialogues about critical issues in teaching and teacher education from national and international perspectives. Teachers/teacher educators/researchers are given an opportunity and a framework for discourse on issues, concerns, and successes pertaining to teaching and the teaching profession in each country. Teaching Comparative Education SIG brings together scholars and instructors of comparative and international education from around the world. It is dedicated to understanding and enhancing the contours of course work in the field and promoting comparative and international education in higher education. Youth Development and Education SIG The Youth Development and Education SIG provides a forum for researchers and practitioners involved in the global study of comparative and international education to debate and exchanges ideas related to youth development and secondary education. 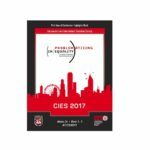 CIES 2017 PDF of Program now available! 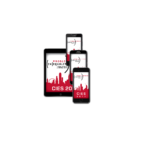 CIES 2017 Conference App now available!